It was at the beginning of the 6th century when a young priest from southern France came to the Rhine and settled as a hermit in a rock cave. 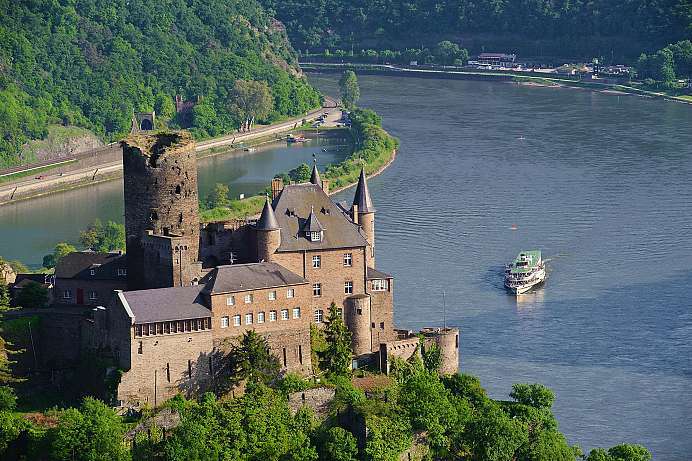 With the permission of the archbishop of Trier, Goar set up a hostel for Rhine boatmen and began to baptize them. After his death he was canonized and his grave became a place of pilgrimage. 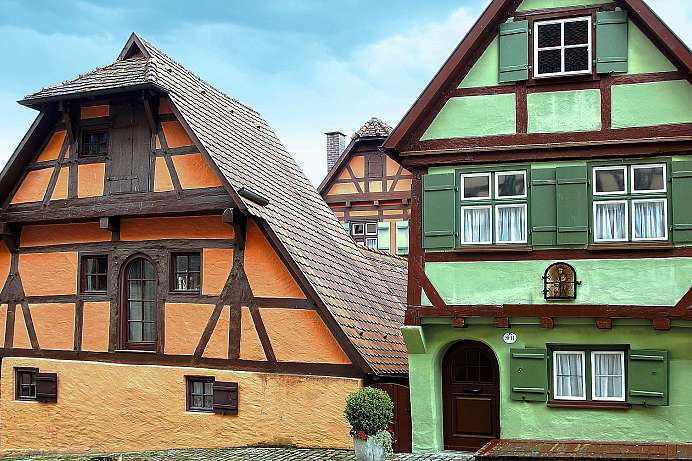 Finally, 700 years later St. Goar received the city charter. 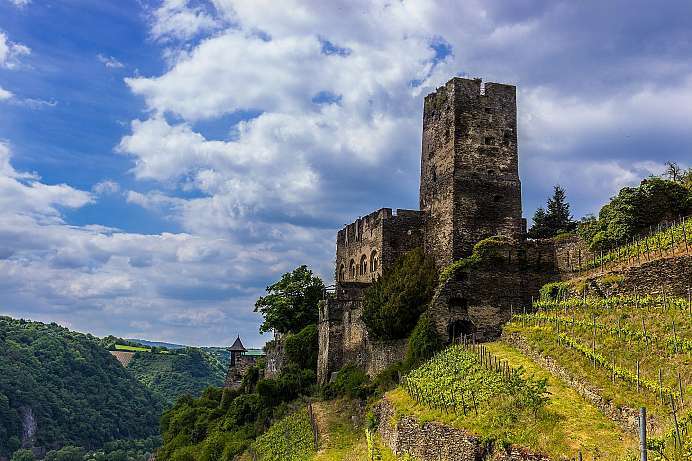 Today, the picturesque half-timbered town is part of the World Heritage Mittelrhein and nestles in the shadow of the castle Rheinfels. Already in the medieval ages dwarves, nymphs and mountain spirits were blamed for the dangerous currents and echoes at the 130 meters high Lorelei rock . The beautiful maiden however, is an invention of the poet Clemens Brentano. He describes Lore Lay as a girl from Bacharach, who is considered a witch because of her beauty. 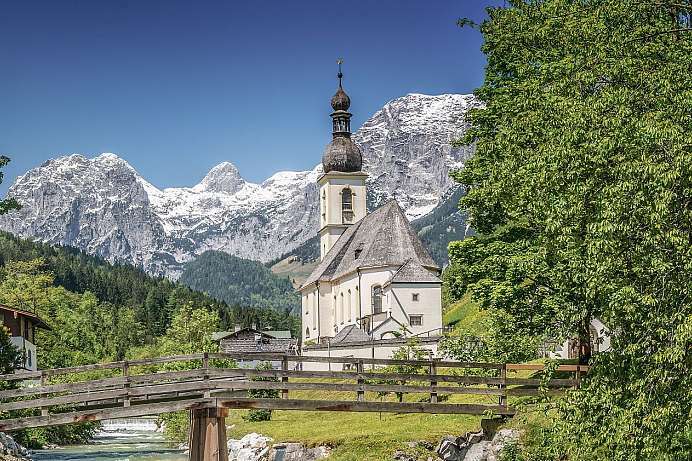 She is forced to join a monastery, but on her way, out of lovesickness she plunged from the rock named after her into the Rhine. Brentano's ballad touched the romantic feeling of his time and triggered further Loreley stories. 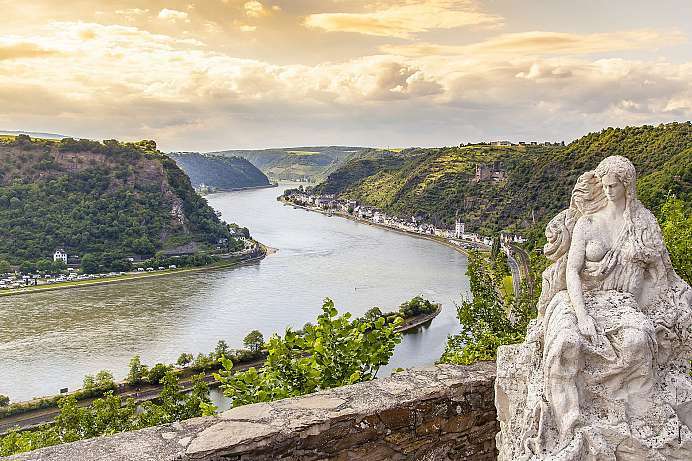 The most famous poem was made by Heinrich Heine, in which Loreley, like an antique siren, captivates the Rhine sailors with her song and beauty, which is why they perish in the dangerous current on the rocky reef.